Don’t be fooled by the fairly short list of things that I’ve been working on of late. The last week was a marathon sprint through a bunch of upcoming stories, but you’ll have to wait a little bit longer to read them. However, my review of Eugen Systems’ Act of Aggression did go up on Rock, Paper, Shotgun, so you can go read that right now. It’s tough to review a game like Act of Aggression, both because it’s an incredibly difficult game with which to come to grips, but also because I came to it with a ton of expectations and hopes based on the developer’s recent output. This happens a lot, but it’s always a difficult thing to correct for, because I am constantly asking whether I’m reacting based on what I’m seeing and experiencing, or based on the gap between that and what I expected to see. 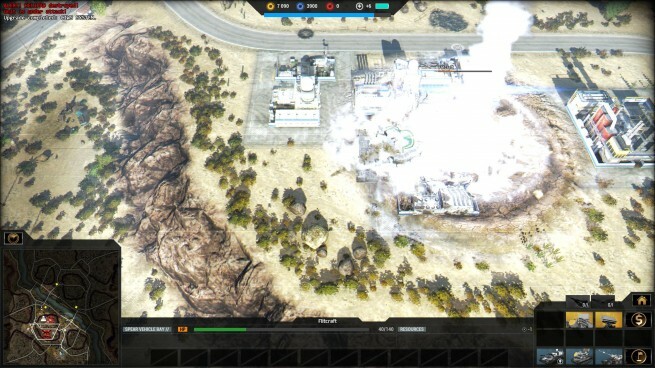 With Act of Aggression, it took me a long time to start meeting the game on its own terms. That has its own dangers: knowing that my opinion might be shaded by disappointment, I probably err on the side of being forgiving. A lot of my friends, I think, are more frustrated by Act of Aggression than I am. Even so, it’s a game that I am continuing to play and learn long after the review has been filed. It doesn’t make itself easy to enjoy, but it does start paying off if you’re willing to put in the hours to tease apart its overall design and how it wants you to play it. I like RTS games, but this is a hard problem to solve. I think Eugen have come closer to solving it with earlier games than they have with Act of Aggression. That’s why it was so frustrating to see Act of Aggression be so defiantly old-fashioned and cryptic. This is the first Eugen game I’ve played where my friends started bailing on our multiplayer sessions after just one game. I stuck around because it was my job. But for most people, why is this a journey worth taking? RTS developers need to start offering better answers than a hand-wave in the direction of skill and mastery. My favorite RTSs have usually been games where I can comp stomp with a friend. I’d play the heck out of RUSE if Eugene gave me another excuse. Similarly: I’m not sure I needed to buy so many versions of Sins of a Solar Empire, but that game is still amazing and I will always fire it up if given half a reason to. I’ve long wanted Blizzard to create story-only expansions for StarCraft 2. Maybe 5 missions for $10. They have the engine, the art assets, and even the primarily Multiplayer StarCraft players would also be onboard with something new to do. I’d love to play with (for instance) the Warhound. I know why it’s not in the multiplayer, but in a hard fought Terran Vs Zerg single player campaign? It could well find a home. Half the fun a good RTS is creating a huge army and storming forth. It’s a lot easier for a designer to give me those moments when it only needs to be concerned with my fun, and not the fun of my opponent. But I think the issue is that good single-player campaign missions are really expensive and time consuming. Unless you’re just going to do everything with in-game animations and no voicework, doing a decent campaign mission is a pretty tall order. Whispers of Oblivion is, I think, an effort at doing “small-caliber” single-player content and it basically sucked. Mind you, good mission design can cover a lot of sins, but even that takes time to tune. Which is why, I think, Eugen have never had a strong campaign since leaving Ubisoft behind. I pre-ordered AoA on the strength of my love for the Wargame series. I played one game and hated it. I played two games and absolutely loathed it. You’re a better man than me for sticking with it. Haha, it wasn’t easy at the start. But I did warm up to it a little by the end. … I did warm up to it a little by the end. Damning with faint praise indeed!